As above architecture, java application execute JDBC query(for example ‘select * from product’) via Teiid JDBC Driver, the Driver will assemble the query command to a Message Object, then send it to Transport via Socket client, the Transport listen on a port via netty server, receive the message, handle the message and pass it to Query Enginer, the Query Engine will choose related Resource Adapter and Translator to load and transfer Data from heterogenous data stores. 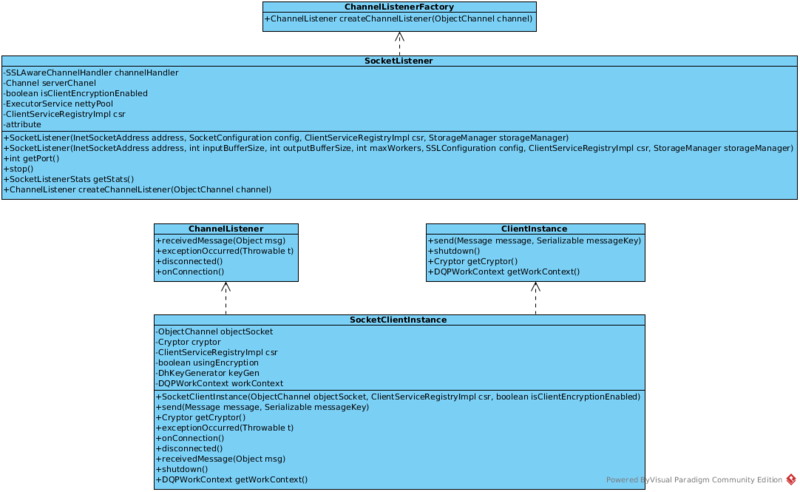 One the left of vertical broken line, we can see it was Transport Layer, this article focus on it, diving into the details of how message be transfer between JDBC Driver and Transport. NOTE: By default, netty server will listen on port 31000 for JDBC connection. 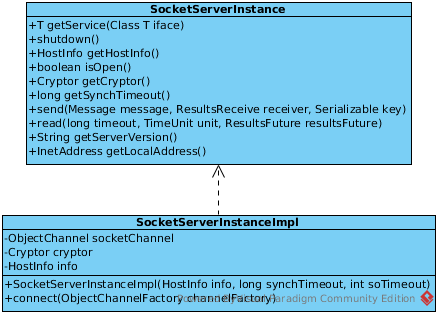 With the content of Netty Server section, we know that the SocketListener is the Server-side listener, SocketListener Constructor method init netty Server, SSLAwareChannelHandler registered as Netty Server’s ChannelPipelineFactory, each time a client connection incoming, a revelant SocketClientInstance be created, the SocketClientInstance wrapped a netty Channel in charge of sending/receiving message from client. Note that, netty’s ObjectDecoderInputStream used to read Object message from Server(Netty Server), and ObjectEncoderOutputStream used to write Object message to Server(Netty Server). 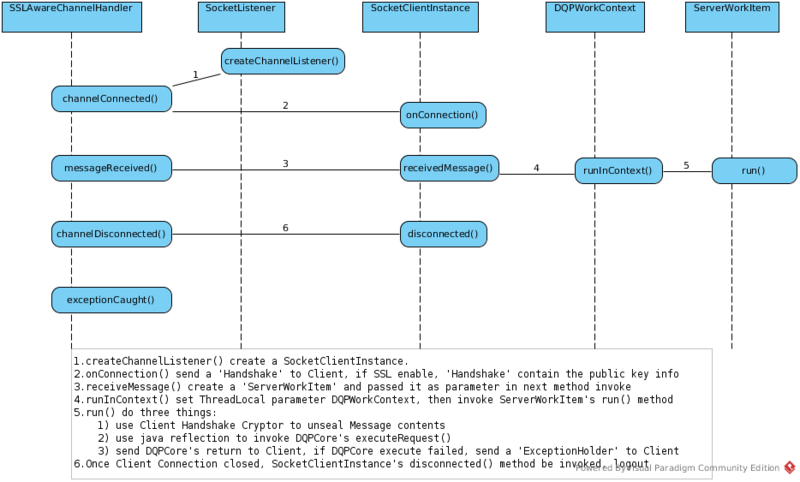 For detailed procedure of JDBC Driver create a Connection refer to http://ksoong.org/teiid-s-diagram#how-a-connection-be-created.